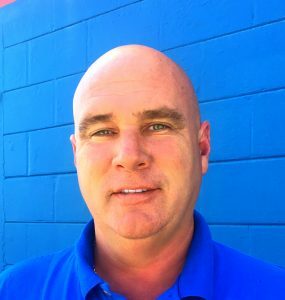 Owner Dennis McBride has been in the automotive service industry for 26 years; and for almost 10 of those years, he’s been part of the Ice Cold Air ® family. He was born in Jersey City, NJ and moved to Florida in 1992. He and his wife, Amanda, have three children. Dennis enjoys spending his Sunday Funday free time with his family on their boat, island hopping, fishing (especially scalloping and stone crabbing), kneeboarding, tubing and cruising up and down the Intracoastal Waterway. He is an avid boater and has served in the Coast Guard Auxiliary since 2015. I like the availability and being able to purchase my own parts and have your mechanics fix it. The manager greeted me immediately and provided great service- good place! Cold Again. Thank you very much for fixing my AC in about 10 minutes. I was absolutely surprised there wasn’t any games and bull just to make money, you are awesome. I would recommend you to everyone. You do great work & you have a good replutation. The manager greeted me immediately and provided great service. Good place! 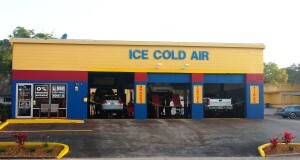 Dennis McBride is now the new Franchise Owner of the Ice Cold Air® Discount Auto Repair at 1180 Court Street location near Downtown Clearwater. 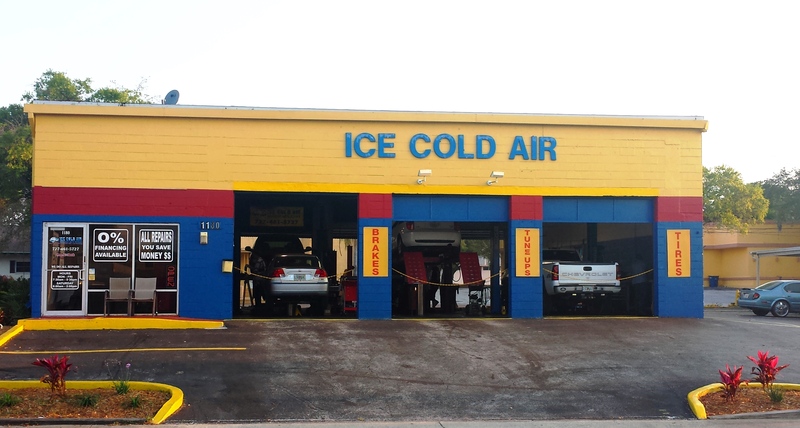 Dennis is a familiar face to many Ice Cold Air customers, not just in Clearwater but throughout Pinellas County. He has served thousands of Ice Cold Air customers at several different locations in his 10 year history of working for the franchise. Dennis has been in the automotive service industry for 26 years. He was born in Jersey City, NJ and moved to Florida in 1992. He and his wife, Amanda, have three children. Dennis enjoys spending his Sunday Funday free time with his family on their boat, island hopping, fishing (especially scalloping and stone crabbing), kneeboarding, tubing and cruising up and down the Intracoastal Waterway. He is an avid boater and has served in the Coast Guard Auxiliary since 2015. 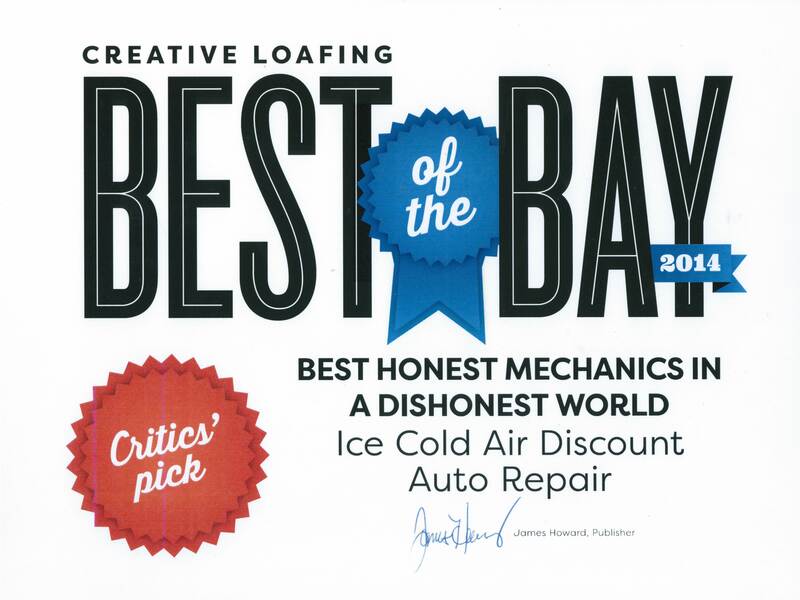 The Ice Cold Air Discount Auto Repair shop at 1180 Court Street in Clearwater is giving away one free set of brake pads, including the labor to install them, to customers who bring in eight cans or boxes of non-perishable food. 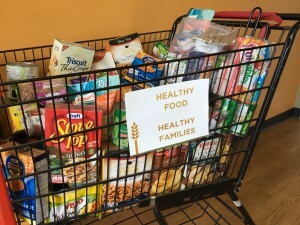 The Clearwater location’s “Putting the Brakes on Hunger” campaign runs for two weeks, from Monday, May 9th through Saturday, May 21st, and is only valid at the Ice Cold Air 1180 Court Street location in Clearwater. Our 501 East Sligh Avenue location in Tampa held the same campaign earlier this year and generated 885 pounds of non-perishable food donations. 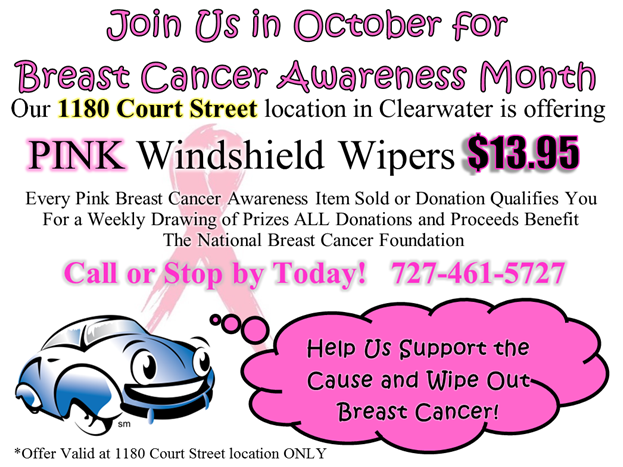 Sharon Folds, the franchise owner of the Court Street location in Clearwater said, “The Sligh Avenue shop’s campaign was a huge success. 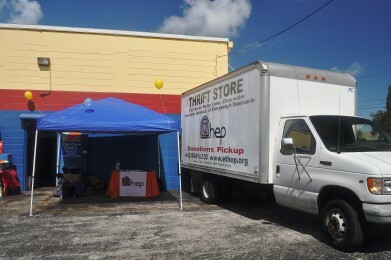 As soon as I heard the impact of that campaign, I wanted to do the same thing at our shop too,” making good on the company’s promise that if the campaign in Tampa was successful, they would host it at additional locations. Customers are encouraged to make an appointment for their service and bring the non-perishable food donation with them when they drop of their vehicle for service. Donations are only being collected at the Court Street in Clearwater location. The food must be new, non-perishable food items; no homemade or unlabeled donations can be accepted. 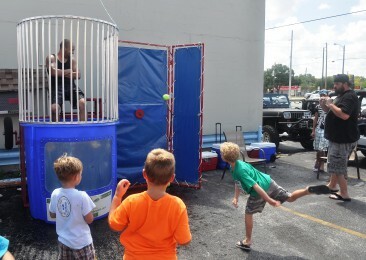 Those interested in taking advantage of the promotion should call 727-461-5727, stop by the Court Street location, or can schedule an appointment on-line by visiting www.icecoldair.com. 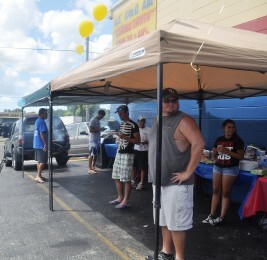 The auto repair franchise does several charitable donations for auto service promotions each year, some are company-wide, while other promotions are shop specific. Each location’s franchise owner is encouraged to support the charities that they hold close to their heart or support neighborhoods located near their shops. “Our customers and community have been very good to us for over 40 years, and supporting worthy local charities is an excellent way for us to give back to the community and our customers for their support,” Denham said. Back to School Open House SUCCESS for local children and HEP! 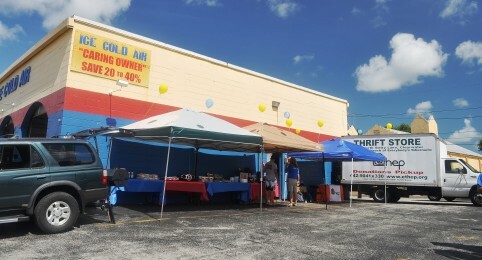 Throughout the month of July, Franchise Owner Sharon Adams and her team located at 1180 Court Street in Clearwater offered FREE Brakes for donating school supplies. 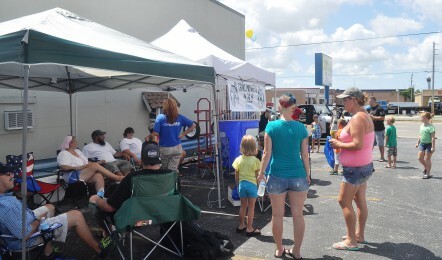 Customers were asked donate to the School Supplies Drive in exchange for FREE Brakes. We had a wonderful response from our generous customers. 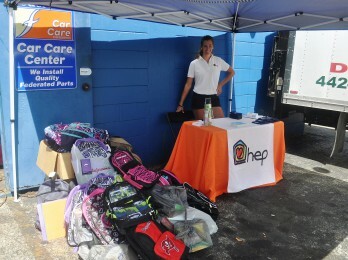 Tons of back packs were filled with school supplies and a $235 donation was given to The Homeless Emergency Project * (HEP) on August 3rd at our Back to School Open House. 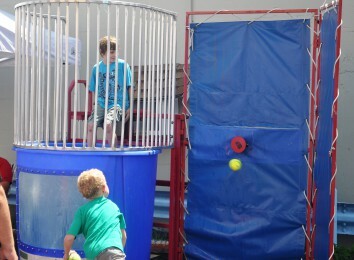 Everyone enjoyed a day of food, raffle prizes, and even a dunk tank (quite refreshing I bet in the summer heat!). Thank you for making this event a huge success and allowing us to give back to the community. Check out the photos below!